Iconic strength: Timeless gift boxes celebrating rich heritage. All In The House creates visually stunning gift boxes and specialized packaging in the shape of merchant houses and iconic buildings. All In The House was launched in Amsterdam, The Netherlands. The company was founded in 2010 after being inspired by the Grachten Gordel of Amsterdam being added to the Unesco World Heritage list. 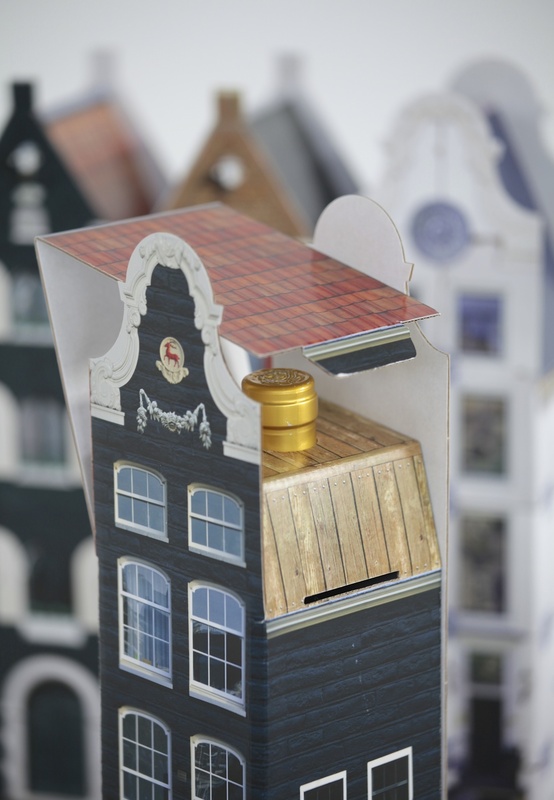 Developing and producing beautiful gift packaging shaped and designed as an Amsterdam Canal House was just the start. The growing business has taken weird and wonderful twists and turns since inception. All In The House has plenty of different concepts and ideas that could help your business promote its products, image or services. All In The House offers bespoke design services tailored specifically to your needs; or simply chose from any of our signature designs. Just call for further information about how we can create your own building, add your company logo or promote your goods and services. The recipients of our gift houses love what they receive, whether as a relational gift from their workplace or present from a friend. Thanks you to all our clients for your continued support. We sell our products to shops and organizations across the globe and always welcome wholesale orders.